One hot and humid afternoon, an exhausted baker in Kochi’s factor found that he forgot to put cookies on meronpan. He usually returned it to uncooked dough, but this time he didn’t. He decided to eat it for his snack and he put it on castella and popped it in the oven. As it baked it produced good and sweet smell of bread. He was amazed with the new product that was produced unexpectedly. He really liked it and decided to sell the new product. This is the beginning of the boushi pan (“hat bread”) and if he hadn’t mistake, we couldn’t enjoy boushi pan. I first heard about boushi pan when I entered Kouchi University. I looked at it and realized why it is called boushi pan. I hadn’t eaten it in all my 20 years, but now I love it! However some of my friends don’t know boushi bread and others know but they hadn’t eaten ever it. Recently some convenience stores sell it in many places so I recommend it to my friends.One of my friends said ‘I have never ate it but it tastes good!’ Yes,I know. It became a popular because of TV program ‘どっちの県民ショー’ which introduces us to unique foods and interesting culture in Japan. After that, Boushi pan was sold at a department store in Tokyo, and more than 500 a day were sold. Still, many people didn’t know about Boushi pan. But little by little, people came to love the appearance and sweet taste soon. Some people know Boushi pan, so they were nostalgic for Kochi. As a result, boushi pan came to be sold in many bread shops in Japan. We visited the boushi pan factory and met the president of the company, Mr. Nagano. He came out to us with smiling and kindly explained that the company continues to develop its products. If you lived in somewhere in Japan, we could eat it or if you were hungry at midnight, you could eat it–though I don’t know about the calories! He went on to explain that making the bread requires constant attention to changing conditions. They have been sold in China, but it is difficult for japanese company because China’s market don’t still have the way to carry and sell them. Though they are challenging about its problem and think if they got a way to sell breads in China, they would have a big success.China market is very big,but many Chinese supermarket don’t accept selling breads with packing.There are many bread with packing in Japanese supermarket so it is a big difference between China and Japan.Some of Japanese convenience store sell boushi bread in China,however, it is still small market.Then Mr.Nagano said “I want many people to eat our breads so we’re looking forward Chinese people to knowing our bread.” with his eyes shining. After interviewing, we ate boushi pan, it looked pretty and was so delicious. I might know why people love it. It tastes very simple so we don’t lose interest and can eat many ways, for example some company sells boushi bread filled with chocolate or anko, Japanese traditional sweet beans paste. 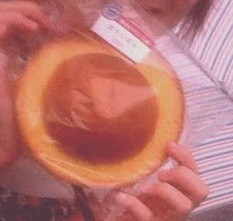 Also the castella called ‘boushi bread crust’ is now sold in many shops and is popular. I suppose due to that, everybody young and old continues to enjoy the sweet. If you came to Kochi, you absolutely should eat it. And you will be enjoying eating Boushi pan or put it on your head. It’s lucky that the man made a mistake in making the melon pan! I didn’t know there was a such story like that in Boushi pan. I also like boushi pan, especially I love boushi no mimi! I did not know about the birth of boushi pan. Boushi pan were first made by accident ! I have heard to inform them to people in Japan, but I didn’t know people tried to sell them in China. I never actually eat it before but after I read your article, I will definitely will go and buy one after this…^^ Thank you, Yuki!! Yuki, thanks for writing such an interesting story. 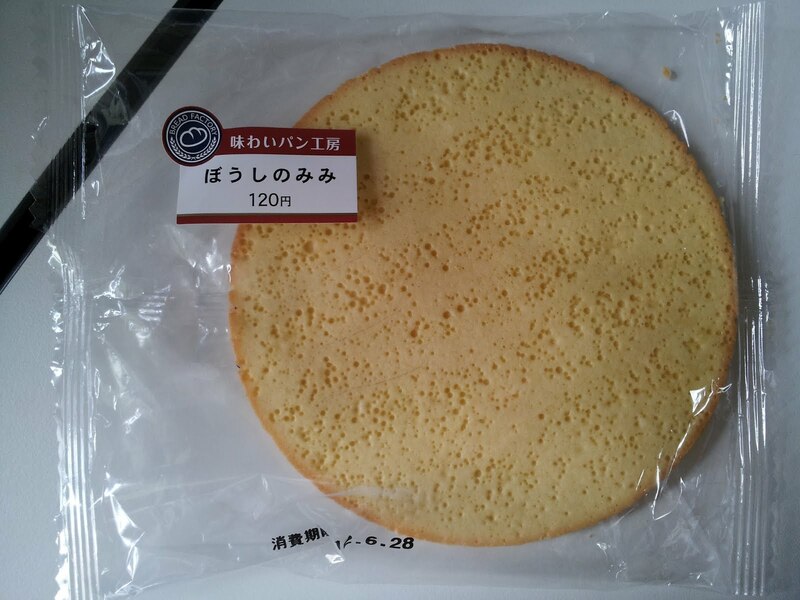 I also really like Boshipan, but it is very sweet and high in calories, so I have to be careful.